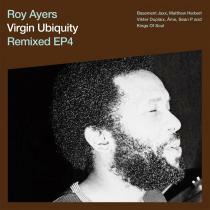 Master vibraphonist, band leader and influencer, Roy Ayers is the quintessential artist. His unparalleled passion and creative energies have converged to create a body of work so extraordinary that generations of music lovers continue to feel the reverberations of his “vibes”. 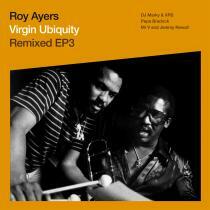 With the January 2004 release of ‘Virgin Ubiquity: Unreleased Recordings 1976-1981”, Roy’s loyal and deserving fans were treated to a selection of unreleased gems. Having satiated their hunger and commitment for the classics, BBE & Rapster Records now respectfully present his most current material in the form of ‘Mahogany Vibe’. This record was previously only available as a fan club item, and is now being re-released due to popular demand. Combining re-interpretations of his most memorable classic tracks and new soulful joints, the album sees Roy vibe with the incomparable songstress Erykah Badu on the classic “Searching” and “Everybody Loves The Sunshine”. Displaying their mutual adoration, each playfully pay homage to one another trading verses and never skipping a beat. Also featured is the one and only Betty Wright, once known for her hit the “Clean Up Woman” and more recently as the producer of young breakout sensation Joss Stone. Ms Wright collaborates on a stunning update of ‘Long Time Ago’. Philly newcomer, Kamilah and MC Sakoni add to the album’s rich flavor. 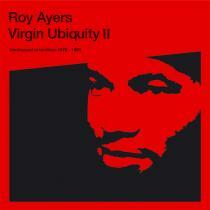 This album once again proves that Roy’s ears are as much to the streets as to Jazz’s lineage of sounds. 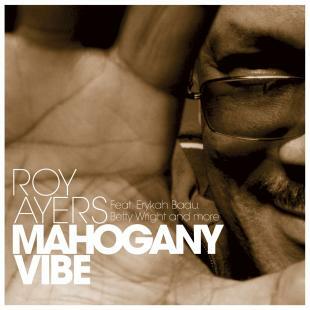 Roy’s career maintains a timeless momentum; in the studio, on the stage, in the US or abroad, for Hip Hop and Jazz heads alike, for your mother and daughter, for slow dancing and serious funk aficionados, Roy’s vibes are forever.